Gloria’s role at Nezinscot Farm has been to educate all those that visit the importance of understanding and learning where and how food is produced. Offering opportunities for learning the skills necessary to be able to live a more sustainable and self-sufficient lifestyle is accomplished through her internship programs and extensive workshops. Gloria has created her own classroom at the farm; all those that visit are able to educate themselves simply by being present at the farm and getting first-hand access to the questions they have. Gloria strives to work with organizations and groups that will help continue the educational process of creating local food systems, developing skills in sustainable agriculture, and provide nutritious foods year round. Motivational speaking on where our food comes from and the importance of supporting local agriculture, empowering people on sustainable living whether you live in the country or city, purchasing the family farm; the do’s and don’ts, What If?- a look at the question and how it can help us meet our basic needs on a daily basis. 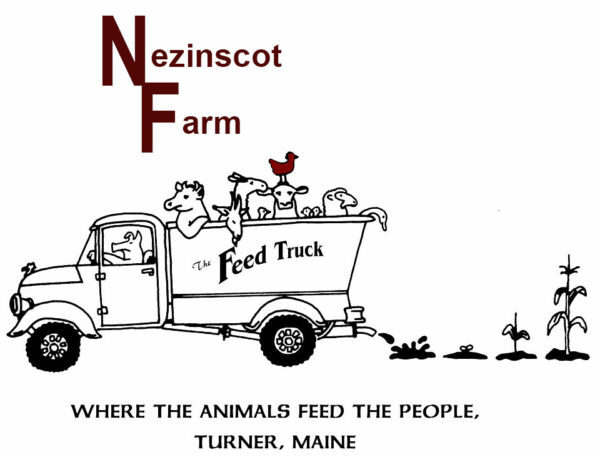 In 1987, Gregg and Gloria purchased Nezinscot farm from Gregg’s parents Waren and Marguerite Varney. Gregg and Gloria have five children, all of whom participate in maintaining and running the family farm and business. They pick eggs, milk cows and goats, feed the animals of the farm and help with the harvest.